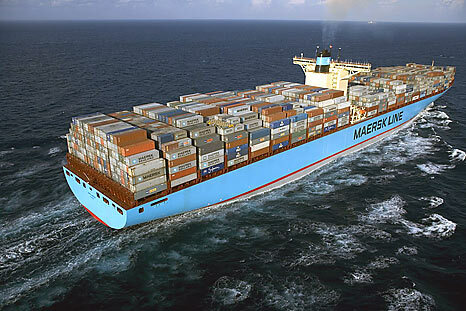 Emma Maersk is world's biggest ship; 397m long, beam 56m and 21 storeys between bridge and engine room and capacity to transport 11,000 containers. Bananas -an interesting perspective on volume and product. Single container can carry 48,000 bananas - in theory container could hold 528 million bananas in a single voyage. Everyone in UK could have banana for breakfast for almost 9 days!